The Ultimate collection of Ninjago LEGO stickers! Long ago, the first master of Spinjitzu created the world of Ninjago . 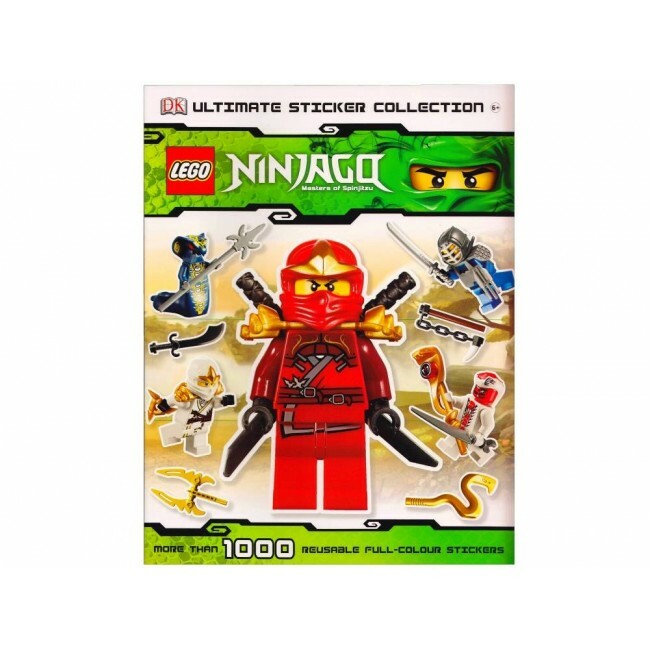 . . and now, DK has created the LEGO Ninjago Ultimate Sticker Collection! This super-sized sticker book is packed with colourful images and more than 1000 re-usable, easy-peel stickers. Featuring the most popular minifigures from the exciting world of LEGO Ninjago, from wise Sensei Wu, evil Lord Garmadon, the brave Ninjago ninjas - you'll find them all in here.